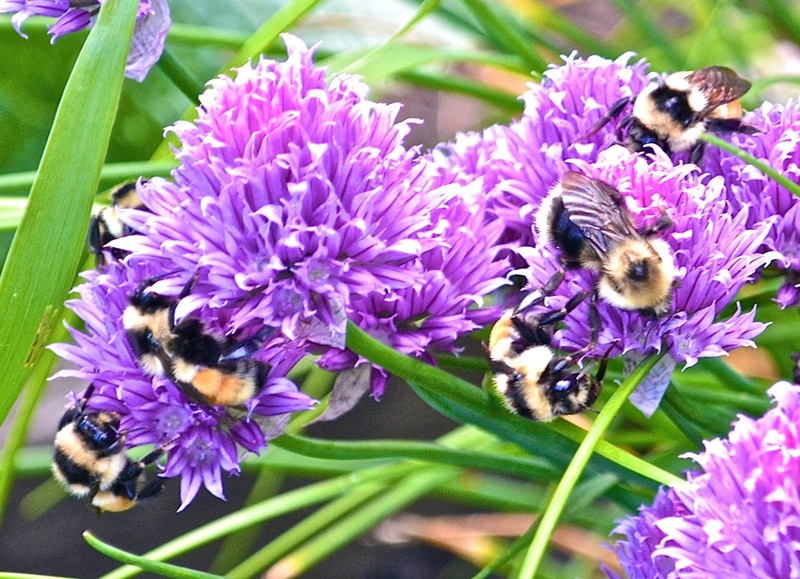 Bumblebees on chives. PinP photo. The negative effects that have been reported before, scale up to long-term, large-scale, multi-species impacts that are harmful. Story here.